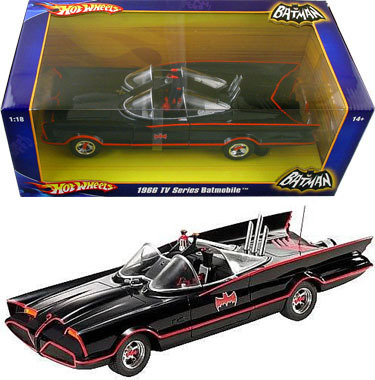 The long awaited Hot Wheels 1:18 scale 1966 TV Batmobile arrived to Toywiz. This die-cast model is awesome with the super detailed interior and really a must get for Batman fans. Price RM269 @ Toy garden and Toywiz. can i know did u got batmobile 1992 version ? ?